Cessna Model 414 Chancellor C/n 0156, F-BSRE. 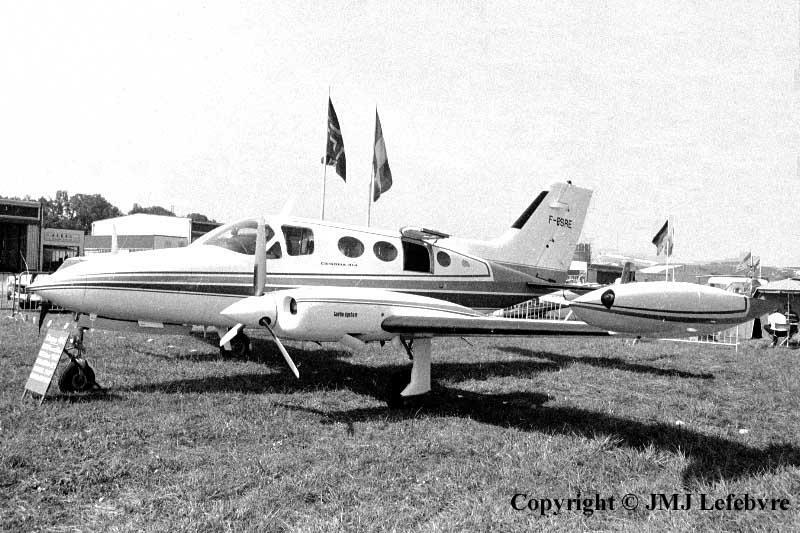 The Model 414 Chancellor, from December 10, 1969 introduced pressurization among the twin-engined aircraft market to bring a plus to owners of old Cessnas or other unpressurized machines. Roughly the plane was a marriage between a Model 402 wing and a fuselage of 421. Engines were two Continental 520s with turbo system giving to each a 310 hp power and driving a three blade constant-speed propeller. This type was produced until 1978, year where it was replaced by the Model 414A having as one of major improvements a redesigned wing of greater span.